Zaragoza is St. Mary’s University’s new student orientation program, where your transition into life at St. Mary’s begins! During Zaragoza, you and your family are introduced to the St. Mary’s campus community, our programs, other students and their families. Most importantly, Zaragoza welcomes you as one of us. Fall Zaragoza is open to first-time freshmen – international and domestic – and transfer students enrolling in the fall. In addition to the two-day Zaragoza program, you must attend all three days of Zaragoza Days, Aug. 17-19, to complete your five-day orientation. *St. Mary’s defines students with dual-credit course work as first-time freshmen. Or, take and successfully complete an online transfer course by Wednesday, Aug. 7, 2019, then meet with the Office of Academic Advising to finalize your class schedule. **Transfer students with less than 30 credit hours, or students who are required to take additional placement tests, must attend one of the two-day sessions described under First-Time Freshmen. Freshmen international students starting in the fall must attend all five days of the Zaragoza orientation program including the mandatory F-1 and J-1 Visa holders document check process, beginning at 9 a.m. on Thursday, Aug. 15. Graduate international students on F-1 and J-1 Visas must complete the mandatory document check on Thursday, Aug. 15, and are required to attend graduate orientation on Monday, Aug. 19. 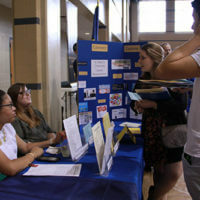 Zaragoza Days is the continuation of freshmen orientation that takes place each fall. Zaragoza Days is required for all incoming freshmen. Freshmen will participate in a series of classes, workshops, activities and events designed to immerse new students into the community and prepare them for the start of the semester. It is also the first time your entire Class of 2023 will be together! 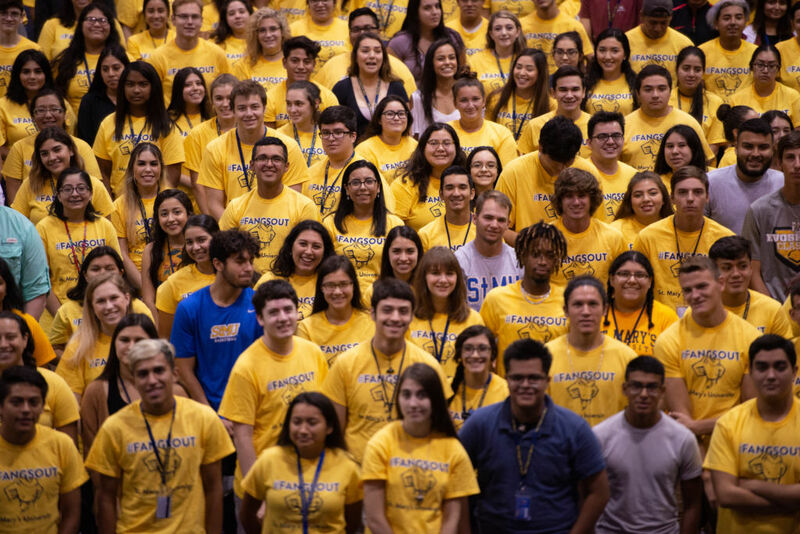 New students who enroll in a spring semester at St. Mary’s must attend Midyear Zaragoza, a one-day orientation for students transferring to St. Mary’s or taking classes for the first time at St. Mary’s. Graduate students must complete an online orientation course before classes begin. There is also an on campus event to acquaint graduate students with the services and offices they may encounter during their studies at St. Mary’s. University. To allow students to get the full Zaragoza experience, freshmen are required to stay on campus; the cost is included in the orientation fee. Our program for students runs until 10 p.m. the first night, and begins early the next morning, making it difficult for even local students to commute home and back during the two-day program. Whether you intend to be a residential or commuter student during the academic year, staying in the residence halls during Zaragoza offers students a chance to become familiar with campus and to begin forming a network of friends. Each student will share a double-occupancy room with another student attending orientation. Students will be able to check into the residence halls beginning at noon on Day One of your chosen session. Parents and guests are welcome to stay on campus during Z1 or Z2. Accommodations are reserved as part of the online Zaragoza registration process. Guests can select single or double occupancy, and you will be in a separate building from the students. Accommodations for all rooms include beds, pillows, towels and linens. You will need to provide your own toiletries. You may also want to bring a blanket, additional towel, alarm clock and phone charger. Special accommodations for individuals with disabilities are available. New students who will be living in the residence halls for the 2019 academic year and are attending the Z3 program may check-into their assigned rooms on Thursday, Aug. 8, 2019. Unfortunately, we are unable to accommodate commuter students, parents or other guests with on-campus housing during the August Zaragoza session. What should I bring to Zaragoza? Students should bring a photo ID, any transcripts, CLEP exam scores, AP exam scores, health records, etc., that have not already been submitted to the Office of Undergraduate Admission or the Student Health Center. You can turn in your important documents during the program. How much is Zaragoza? The student orientation fee for Summer Zaragoza is $200. The student orientation fee will be charged to the student’s account and will appear on the tuition bill for the semester of enrollment. The fee includes the student and up to two parents or guests. You do NOT pay the orientation fee at Zaragoza. For additional guests, there will be a $30 charge for each guest who is 12 years old and older and $15 for guests between the ages of 4-11. Children 3 and under are free. Payment for additional guests will be collected at Zaragoza check-in. 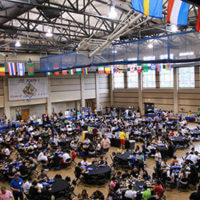 Lunch and dinner on Day One, and breakfast and lunch on Day Two will be provided for all registered participants. Where can my guests stay during Zaragoza? For more lodging options, visit the City of San Antonio’s website. For parents and guests attending the Z1 or Z2 Zaragoza sessions, we have a limited number of rooms available. A single room costs $50 for one night or $90 for two nights. A double room costs $80 for one night or $145 for two nights. Accommodations include: bed(s), pillows, blanket, bed linens, towels, hand towels and wash cloths. You will need to provide your own toiletries. You may also want to bring an additional blanket, personal towel, alarm clock and phone charger. If you would like to stay on campus and have indicated this in your application, you will receive a lodging confirmation approximately one week prior to your arrival. Walk-ups will be accommodated only if space is available. Note: Parents and guests will be housed separately from incoming new students. Special accommodations for individuals with disabilities are available. On-campus accommodations are not available for commuter students, parents or other guests during Z3 because our residential students are moving onto campus at this time. Please see information above for hotel and lodging info if you will be staying in San Antonio during Zaragoza. Zaragoza was a place of new beginning. It’s the town in Spain where Blessed William Joseph Chaminade, founder of the Society of Mary, took time to reflect on his life and was the birthplace of the Society we now know as the Marianists. Blessed Chaminade’s experience in Zaragoza parallels the reflection and new direction you will experience as you begin your collegiate career at St. Mary’s University. Our Zaragoza program welcomes students to the St. Mary’s community and prepares students to be members of our community by easing the transition for students and parents; instilling a sense of pride in being a St. Mary’s student; and providing an opportunity for you to interact with other students, faculty, staff and alumni.